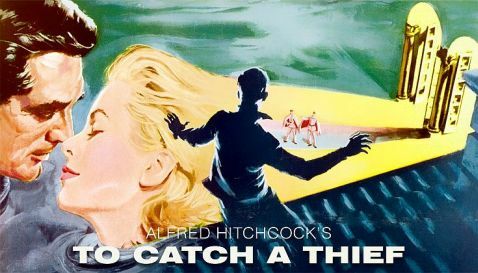 Alfred Hitchcock’s To Catch a Thief screens today at the 2012 TCM Classic Film Festival. In celebration of the third annual greatest-classic-film-festival-in-the-world, I’m posting this new and improved version of a piece on To Catch a Thief that first appeared here on New Year’s Day 2011. Traditionally, champagne is the drink du jour (or nuit) at New Year’s, and so champagne it shall be now. A bottle of ‘96 Dom Pérignon Rosé would be fitting, but I’m in the mood for something really special…an old favorite… Hitchcock’s distinctive ’55 vintage from the Cote d'Azur. To Catch a Thief (1955), a delectable “Hitchcock champagne,” boasts a rare combination of elegance and flair. Light-bodied with a smooth finish that lingers, it remains unmatched, though it has been imitated far and wide for decades. ﻿﻿Quickly the action picks up speed with a colorful cruise through the Cote d'Azur as French police race to the village of Sainte-Jeannet and the hillside villa of retired jewel thief and prime suspect, John Robie (Cary Grant). 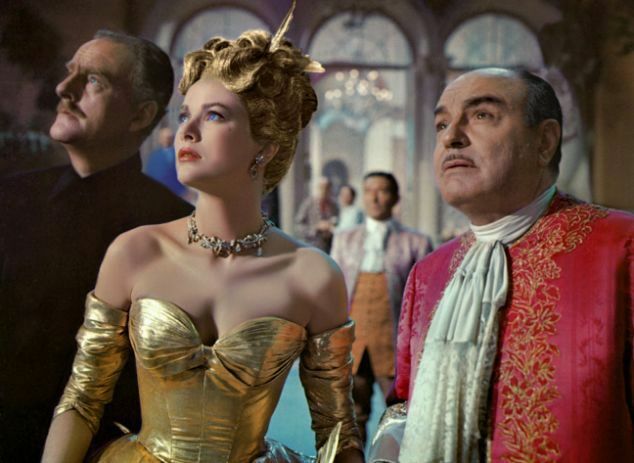 From these early sequences and throughout the film, cinematographer Robert Burks displays VistaVision/Technicolor to full effect; it was Hitchcock's first use of the widescreen/color process that would become a signature of his color films for the rest of the 1950s. Alfred Hitchcock and Robert Burks had initially worked together five years earlier following the director’s return to the U.S. after making two films in England. Hitchcock was beginning production on Strangers on a Train for Warner Bros. and the studio cinematographer assigned to the project was 40-year-old Burks. It would be the beginning of a fabled partnership. Burks began his career at 19 in the Warner Bros. special effects lab when Hal Wallis, who favored shadows and high contrast on the screen, was in charge of production. Burks apprenticed under James Wong Howe, worked his way up to DP and, by 1948, had risen to cinematographer. The early influence of German expressionism on Hitchcock corresponded nicely with the influences Burks absorbed at Warner Bros. and the two would collaborate on 12 films from 1951 – 1964, every picture Hitchcock made during that period except Psycho. Like Burks, Hitchcock had intimate knowledge of special effects and had an affinity for scenes of complex imagery. One of the most memorable in the Hitchcock/Burks canon came in Strangers on a Train with the scene in which Robert Walker’s murder of Laura Elliott is reflected in the lens of her fallen eyeglasses. 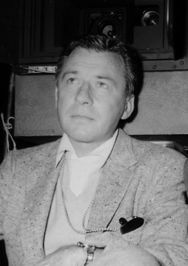 Robert Burks was Oscar-nominated for Strangers and again for Rear Window. With To Catch a Thief, he finally won an Academy Award for cinematography. From 1955 – 1958, Burks shot five Hitchcock films in VistaVision/ Technicolor; four of the five were for Paramount Pictures. 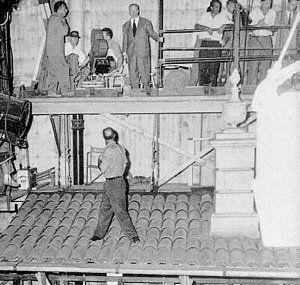 Paramount had been the only major film studio to balk at the widescreen CinemaScope system when it came on the scene in 1953. The studio set out to develop a process of its own and worked with Eastman Kodak to develop VistaVision, a method that delivered a higher resolution widescreen version of 35 mm. The VistaVision process printed down large format negatives to standard 35 mm, creating a finer-grained print and improved image. The use of Technicolor's dye transfer process was key to VistaVision color image quality. For his first foray into VistaVision/Technicolor, Hitchcock devised a stylish romantic thriller infused with dazzling starpower. To Catch a Thief was the third and final film Grace Kelly would make with Hitchcock, who would have worked with her for the rest of his career had she not left movies to become Princess of Monaco. Hitchcock’s breathtaking onscreen vision of Kelly brings to mind Josef von Sternberg’s ravishing cinematic glorification of Marlene Dietrich 20 years earlier. Kelly was a beautiful woman but among the handful of films she made, it was in her films for Hitchcock that her image as a screen goddess achieved perfection. In To Catch a Thief she plays a spoiled rich girl, the ultimate "snow covered volcano" and "Hitchcock blonde." Grant and Kelly are captivating together onscreen and both deliver iconic characterizations with ease - Grant as a debonair retired thief/innocent man, and she as a haughty/hot debutante. The pair literally generates fireworks. 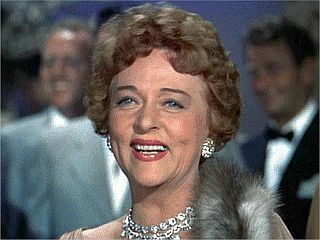 In her first Hitchcock outing, Jessie Royce Landis portrays Kelly’s insouciant and earthy, bourbon-sipping mother. Hitchcock liked to include colorful women as supporting characters in his films, ranging from the ridiculous (Florence Bates in Rebecca) and the oblivious (Patricia Collinge in Shadow of a Doubt), to the observant and wisecracking (Thelma Ritter in Rear Window, Barbara Bel Geddes in Vertigo). Royce Landis portrayed two of the most appealing of the latter type in this film and North by Northwest. While some dismiss To Catch a Thief for lack of substance, there's no question that it is a solid film of its genre. With meticulous craftsmanship and tremendous style, Hitchcock delivered exactly what he intended - a voluptuous romantic thriller. All elements blend in harmony, from the John Michael Hayes screenplay to Robert Burks' VistaVision/ Technicolor photography, Lyn Murray’s score, Edith Head’s eyeball-popping costumes, two scintillating stars and the Cote d’Azur setting. To Catch a Thief was successful and influential, and many later films bear its earmarks...most prominently Stanley Donen’s Charade, as well as his Arabesque, William Wyler's How to Steal a Million, Blake Edwards' The Pink Panther and countless romance/thriller romps ever since. I think To Catch a Thief is beautifully filmed and entertaining, but it is far down the list of my favorite Hitchcock films. I was never a big Grace Kelly fan, so this might add to this. Still, it is a Hitchcock film, so it is always fascinating to watch and interpret. 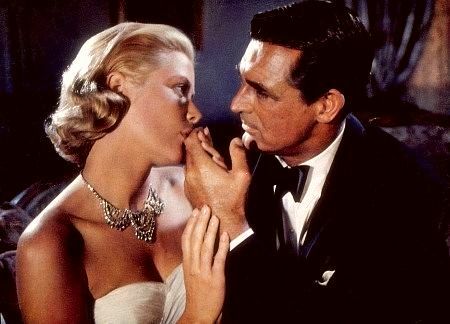 Kim, Though "To Catch a Thief" isn't among my Hithcock top 10, I've always enjoyed it immensely - the director was in top form (and seemed to be having some sophisticated fun) + Cary Grant, Grace Kelly (she isn't a favorite of mine either, but she and he have great chemistry) - + Jessie Royce Landis & John Williams (love them! ), the French Riviera in VistaVision/Technicolor and a mystery. As you say, no matter what, it is a Hitchcock film and worth watching for that alone. "To Catch A Thief" is light entertainment and as such is very successful. Grant and Kelly are both iconic ideals of beauty and sophistication - they are like flawless diamonds set in the perfect local of Cote d'Azur. This was never a film that I felt compelled to repeatedly watch, but I respect it for achieving what it set out to do, which is to entertain. The image of the murder reflected in the victim's glasses in "Strangers On A Train" is one of my favorites from the darker side of Hitchcock. MCB - Much as I respect Hitchcock's early British work and admire and enjoy his best from the '40s, he reached a peak in the '50s with his VistaVision/Technicolor films. While "To Catch a Thief" isn't in the same league as "Rear Window" or "Vertigo," and not quite up to "North by Northwest," it is incomparable. Really, no other film of the genre (which this film may have launched) is its equal. "Charade" comes closest, but I've always thought it lacks the sustained high-watt dazzle and balanced pace of "To Catch a Thief." A note: I neglected to mention Hitchcock's brilliant, Oscar-nominated film editor, George Tomasini, in this post. Like Robert Burks, Edith Head and Bernard Herrmann he worked on many Hithcock's films (in Tomasini's case, everything from "Rear Window" to "Marnie"). Eve, your post about TO CATCH A THIEF is as sparkling and soignee as Hitchcock's timeless caper itself! You nailed it when you said "Hitchcock’s breathtaking onscreen vision of Kelly brings to mind Josef von Sternberg’s ravishing cinematic glorification of Marlene Dietrich 20 years earlier"! Cary Grant and Grace Kelly were a perfect team, aided and abetted beautifully by that great supporting cast: John Williams, Charles Vanel, Brigitte Auber, and wonderful Jessie Royce Landis virtually stealing the show as Jessie Stevens! What a great choice for the 2012 TCM Classic Film Festival, including Kimberly Truher of GlamAmor fame! Great post! I just popped by thanks to my friend Dorian and loved your detailed descriptions of the Hitchcock classic. Hello Desert Rocks (with another thank you to Dorian), happy to know you enjoyed my "TCaT" piece. 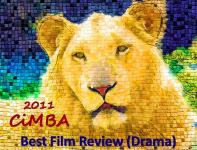 I haven`t seen this movie in a long time, and your review is prompting me to see it again. 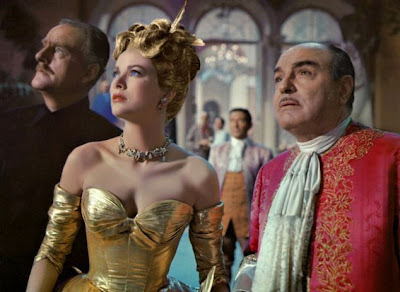 :) I am a big fan of Grace Kelly, and her wardrobe, and I love the scenery in this film. Thanks for a great review! Silverscreenings - I hope you had a chance to watch Kimberly's video at the end of my post on Grace Kelly's style in "To Catch a Thief," Edith Head really outdid herself. 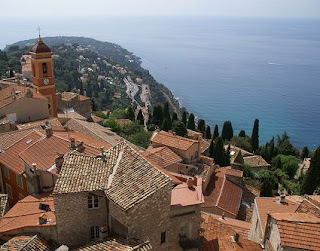 It occurred to me as I read your comment that the extensive location footage of the Cote d'azur does give the viewer a palpable sense of traveling on the Riviera. Love the glamour of the classic film, TO CATCH A THIEF. The clothes, the sets and the fabulous story line. I'm always ready for a glass of champagne and to watch Cary Grant and Grace Kelly, play on the French Riviera. Cheers.. Dawn - I do like your idea of a glass of champagne to go along with watching "To Catch a Thief." Sounds like a very good plan. Beautiful people in beautiful places doing nasty things - what could be more entertaining? For what it is, it is as perfect as a box of bonbons wrapped in a big pink bow. Eve, this is a film I wasn't that thrilled about when I first saw it some years back. But I've seen it several times since then and not only has it proven to be remarkably rewatchable, but I have grown more fond of it with each viewing. It's one of my very favorite Hitchcock Light films. I had a similar experience with the remake of "The Man Who Knew Too Much" and now prefer it to the original from the 30s. The French Riviera, Grant, Kelly, Royce Landis, and Wood--you identified the ingredients that make this one so special. And of course the creative imagination of the cinema chef who mixed those things up--Alfred Hitchcock. To all the culinary comparisons I'll add another--a Grand Marnier souffle! "Cinema chef" surely describes Hitchcock, R.D., and he was adept at more than one cuisine. I have always been such a fan of his VistaVision/Technicolor films of the '50s that the original version of "The Man Who Knew Too Much" didn't stand much of a chance with me in comparison with the remake. I came upon the interesting observation in David Thomson's Selznick bio that Hitchcock learned how to use glamor in his films as a direct result of working with Selznick. Hitchcock's post-Selznick films weren't all marked by glamor, though most had some, but "To Catch a Thief" is absolutely infused with it. I have to agree with R.D. this was not one of my favorite Hitchcock's when I first watched it but like a good bottle of wine it gets better with age and more viewings. It still won't make it into my top 10 AH films but it is always a treat and you give the royal treatment. Probably Hitchcock's most beautiful film with both actors and scenery. John - I'm going to have to sit down and think about my top-ten favorite Hitchcock's one of these days. It's possible "To Catch a Thief" is in there somewhere. As you say, it is beautiful, a real eyeful, also nicely paced and engaging. I do so wish I could share your enthusiasm about this film, Eve. But I am just not a Grace Kelly fan. She made one movie in which I tolerated her - REAR WINDOW - but that was about it. The three best things in TO CATCH A THIEF (besides Cary Grant and even he wears thin in this one) are Jessie Royce Landis (who can do no wrong), the spurned and very chic young French woman and, of course, the scenery. Yvette - I have to wonder if there was a spike in Americans traveling to the South of France after the release of "To Catch a Thief." The beautifully filmed Cote d'Azur does play a part in the film's appeal. Lady Eve, your tribute post on “To Catch A Thief” confirms something I have always suspected: classic film fans are creative, innovative, knowledgeable, fascinating and bubbly people. Your idea to compare the film to vintage champagne, which “boasts a rare combination of elegance and flair” and which is “light-bodied with a smooth finish that lingers”, paired with Kimberly’s fun tribute to costuming, has me daydreaming of balmy breezes and Côte d'Azur adventures (I caught Kimberly’s brief interview with Robert Osborne during the festival). I, like a few of your other readers, find TCaT less about vertiginous journeys and more about the fireworks between two beautiful people (and isn’t that one of many reasons we watch classic films!). If I may be permitted one observation, Grace Kelly might be lovely in lemon, but Cary Grant certainly looks wonderful for 50, nice abs in his Scots inspired swim trunks.